From Laurie in Ridgefield, WA: “I want to share with you a craft project that I created for my two grown sons. I didn’t realize at the time that what I created fit into the topic you have discussed about how to get the family involved in history. At the time I not even created a family tree yet! As I am sure you are aware we pass down recipes within a family and as it grows and moves away those tastes of “home” are often missed. It could be Grandmas bread baking or an aunts cookies. Memories etched deep in our senses. Both of my boys have called me from the grocery store to ask how to cook a favorite dish. This got me to thinking close to the holidays about a homemade cook book filled with family favorites. I scoured the old copy of the church fund raiser, a cookbook my mother in law submitted recipes too. Digging up more favorites from my recipe box and contacting family members asking them for a favorite recipe along with any story that went with it. I then purchased blank cookbooks in a binder style. Transcribed onto the computer as documents printed to PDF, each recipe has its own page that lists the person’s name and any story & tips. Blogging is not only a great way to share with your family and friends, but your articles will be searchable by Google which means other folks out there who are interested in the same things can find your blog and comment. And chances are you could possibly use brief excerpts of the books in an editorial fashion in a blog, but again just read through some of the copyright guidelines available online. You could also create a book where you share the original recipe, then include “your take” on the recipe, and include photos of you making the dish and old family photos that tie in. I have a series of Premium Podcast Episodes with videos that show you how to use print on demand services to create your book quickly and easily online, and affordably. The beauty of print on demand is that you only pay for exactly the number of books you want. There’s no minimum order number. And if your family and friends want a copy than can buy it right from the website rather than you having to be the middle man, which is especially nice for folks who live across the country from you. Lisa’s Answer: I think it would be great if you starting making notes in the margins – like that a recipe is someone’s favorite dish, or the first time you make it – I think we could all do some of that to share a little more with our descendants. In this gem I’m going to welcome you back to the warmest room in the home, the kitchen. Here amongst the pots and pans we are going to meet back up with my friend Gena Philibert Ortega, author of the book From the Family Kitchen: Discover your Food Heritage and Preserve Favorite Recipes. In the last episode #137 we talked old cookbooks, where to find them, and what they can tell us about our family history. In the final part of this interview I get to turn the table on Gena a bit and ask her some food family history questions that she encourages her readers to ask in their families. When you click this link to buy Gena’s book you are helping to financially support the free Genealogy Gems Podcast at no additional cost to you. Thank you! BONUS VIDEO: Gena and I hit the kitchen to make a blast from the past. Watch the video at the Genealogy Gems YouTube channel. Be sure and leave a comment, "Like" the video, and pass it along to your friends! 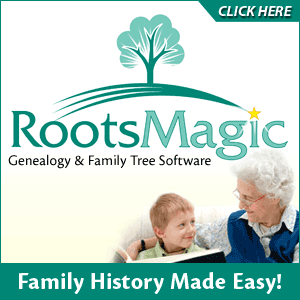 Genealogy Gems App users will find the video in the BONUS CONTENT for this episode. I really hope you’ve enjoyed this look at family history and food, and that it’s inspired you to rummage through the back of the cupboards, and ask around the family for those recipes, cookbooks, memories and even old cooking utensils so that you can bring your family’s culinary history back to the forefront and preserve it like a Ball jar of good peaches. And one last little gem for you: If you enjoy reminiscing about the food of days gone by I want to recommend a video series to you that I have enjoyed for years. It’s called Clara Cooks and I’ve added a few of my favorite episodes to my Food and Family History Playlist at the Genealogy Gems YouTube channel. Just go to www.youtube.com/genealogygems and scroll down and you’ll find the playlist in the column on the right. And there you’ll also find my video interview Gena and our little cooking in the Cooke kitchen segment. Bon Appetit! From Kat on Facebook: “Love Genealogy Gems :) I just listened to the podcast that was talking about adding pages to your news feed up in the like button option. I am not convinced that your feed stays visible with just saying show in the news feed since Facebook is constantly changing things.